Maybe you’re like me — I had the “want to” but didn’t have the “know how”. I wanted to be a good neighbor. I was 110% on board with Jesus Great Commandment of loving God and loving my neighbor. But guess what? I wasn’t! Sometimes what seems to be the simplest things to do aren’t easy! But thanks be to God that’s now changing. It took a paradigm shift. 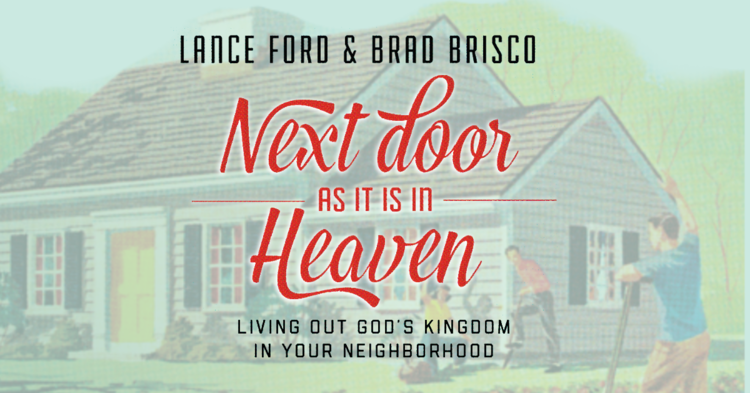 I began learning a new mindset and practicing a new way of living, viewing life through the lens of being a “good neighbor” in the tradition of Jesus. 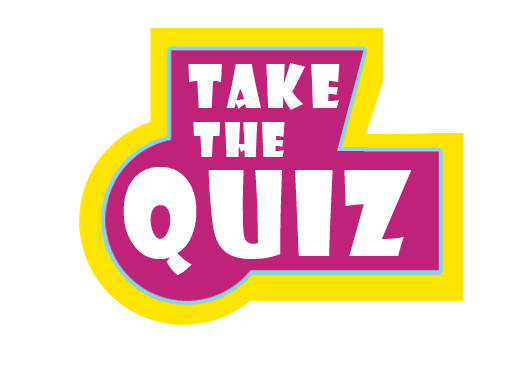 Do you know the names and some of the life stories of your neighbors who live to the left, right, front, and back of you? Have you recently encouraged or blessed a neighbor through some random act of kindness or good deed? Do you have a “third place” in your neighborhood such as a coffee shop, restaurant, brew house, or workout gym that you frequent where everybody knows your name? Can you call by name and do you pray for your community leaders such as the mayor, city council or school board members as the Scriptures encourages us? Will you in the coming weeks have your neighbors into your home, accept their invitation to their home, or go to a restaurant to share a meal? Are you involved in volunteering in a local school, senior adult home, community center or some other gathering place in your neighborhood? When you hear the term “missionary” is it limited to someone who lives internationally or does it include you in your neighborhood? 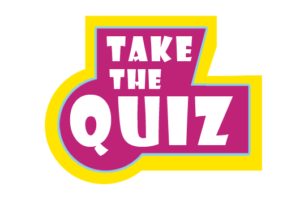 Is attending a neighborhood night out, community picnic, HOA meeting or some other community event a priority for you? Would your neighbors consider you friendly and approachable and if they had a question about spirituality and/or life situations would they seek you out? Do you believe that equally important to the “gathering” of the church on Sundays is the “scattering” of the church to be “good news” in the places we live, work, and play throughout the week? So how’d you do? I am always learning and growing on what it means to build bridges and be a good neighbor in the places I live, work, and play. 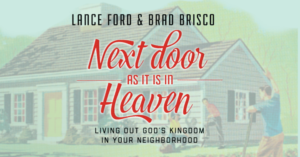 If you’d like to grow along with me on Saturday May 19th Forge Dallas, Loving Community, and First United Methodist Church of McKinney are hosting a one day event, Next Door As It Is In Heaven with author Lance Ford. He will share fresh insights and best practices of the life giving ways of good neighboring. The one day event is geared toward individuals, churches, community leaders and others looking to be a catalyst of good in their neighborhoods.